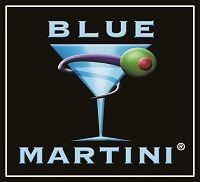 Please join us for a professional networking event on Tuesday, March 29th from 6:00 - 8:30 PM at the Blue Martini Lounge located at the Shops of Legacy in Plano. Your hosts from Darden, Pepperdine, TCU, and Wharton have reserved a private section of the bar for DBC and will provide light complimentary appetizers. Happy hour prices until 8:00PM which includes half off all drinks (except champagne) and discounted food.